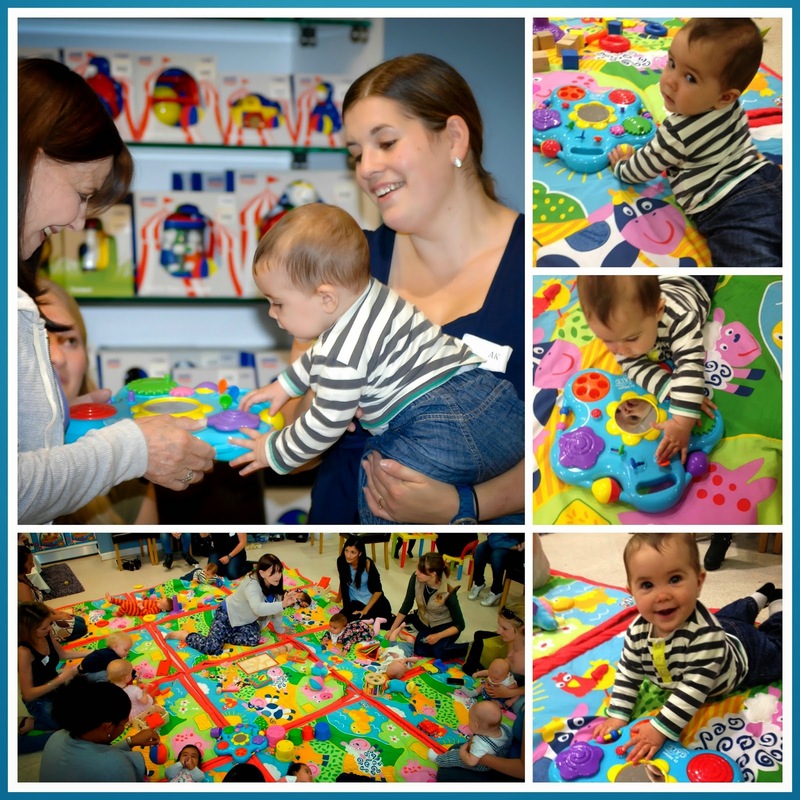 A few weeks back i went to Daniels in Windsor where Galt Toys hosted a interactive play class together with Dr. Miriam Stoppard who demonstrating the best sensory techniques to use when playing with your baby to help them reach vital development milestones. As you can see from the pictures Molly-May throughout enjoyed her morning at the Event (whilst i listened to Dr. Miriam’s talk) and took a particular liking to the Activity Centre which i think will be put on her Christmas Wish List this year. I never knew this but Dr. Miriam developed in collaboration with Galt a range of Toys which you can check out over here. We where lucky enough to been given a great goodies bag full of Galt Toys and Molly-May is enjoying them a lot! Thank you Galt for inviting us! Disclaimer: We have been invited to the Event from Galt, but we have not been asked to write about it and all thoughts and opinions are my own.